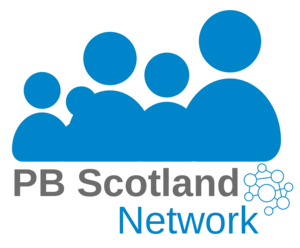 For information on The PB Scotland 2017 conference, please click here. The International PB Conference 2016 brought together more than 200 people across two days to learn about participatory budgeting (PB) and see how it can help shape democracy in Scotland and beyond. You can now read a full account of day of the conference, including detail, pictures and video on all our amazing speakers and workshops. Held at the University of Edinburgh’s John Macintyre Conference Centre, this was the first major PB conference of its kind in Scotland. The day saw almost 200 delegates bringing examples of PB in practice, exploring some of the challenges and opportunities of PB, and hearing from international examples through a range of presentations and workshops. The event was held at the John McIntyre Conference Centre, Edinburgh. Participatory budgeting (PB) is now recognised as core to our approach to achieving a participatory democracy in Scotland. It allows local people to have a direct say in how, and where, public funds can be used to address local needs in their community. Learn more about PB here. A participatory democracy is a healthy democracy, in which people have influence over what happens to them, their families and their communities. When people are engaged in community life, they are more likely to experience positive health and life outcomes. Community empowerment and a deepening of participatory democracy are essential in redressing the inequalities that exist within our society. This conference was held in partnership between PB Scotland, the Scottish Government and UK PB Network. Kevin Stewart opened the day with his ministerial address.